Our story begins in India in August 1876 when a small group of religious sisters of diverse nationalities was shocked into making an extraordinary choice: they had to choose between testifying against their former superior and her advisory council, or leaving their congregation. Of the thirty-three women twenty chose the second option. In conscience, they could not testify against one whose integrity and leadership had held them together over eight years of total commitment to God in the poor of India, and had created peace in the midst of a veritable storm of misrepresentations and ecclesiastical intrigue. convent which providentially did not belong to the congregation but to the bishop of Coimbatore. On January 6, 1877, Pius lX gave them his blessing and authorized them to establish convents in Coimbatore and any other diocese. Very quickly a number of young women joined them. A second house was opened in Coimbatore, a novitiate in France, and a mother house in Rome. Some were asked to leave India to help set up the communities and prepare the new members for missionary life. 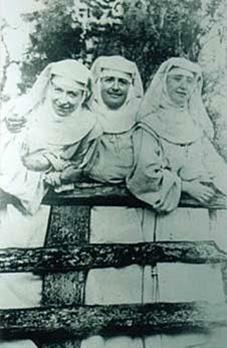 Gospel life and became “Franciscan Missionaries of Mary”. In spite of sustained opposition from a few influential clerics and people who knew the Indian situation by heresay rather than in truth, the young Institute flourished. Mission sendings to “the most dangerous and distant places” multiplied and new members continued to offer themselves to a life of total self–giving that Christ would be known and his reign of truth and love reach the most excluded and the most despised. The lives of the women who had gathered around Mary of the Passion in Ootacamund in 1876 are an extraordinary story of courage, zeal and immense faith in the goodness of God. Many of them never saw her again but carried their shared vision and spirit to Africa, China, Burma, Ceylon, to new foundations in India, to Canada and Europe. They were missionaries through and through, giving of their personal talent, taking initiatives and supporting the new missionaries who came to join them. They gave the Institute an incomparable gift of unity, loyalty, life-long friendships, and an active concern for one another. This photograph was taken on a bridge at Les Chatelets, France. Hélène stands on a log. She wants to be tall enough to put her arms around her friends, two of her sisters. If any image captures Hélène's spirit, it is this. Just like Francis of Assisi all peoples were her sisters and brothers. When Hélène de Chappotin died in December 1904 she was the revered and loved leader of two thousand Franciscan Missionaries of Mary. 1900 - Boxer rebellion and persecution of the Christians in China led to the martyrdom of the whole FMM community in Tai Yuan-Fu. Although given an opportunity to leave they chose to remain to support the Christians and shelter the orphans who were in their care. They were executed on July 9 and given the honours of martyrdom in a Canonisation ceremony held in Rome on October 1, 2000. 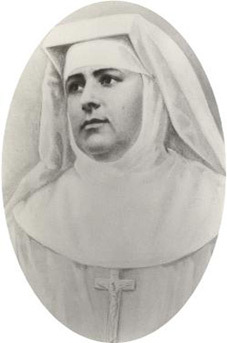 1904 - Death of the Foundress, Hélène de Chappotin, Mary of the Passion FMM, aged 65 years. Hélène arrived in San Remo on November 5. She was suffering from severe oedema and ulcerated legs but continued her work, appreciative of the rest she was able to have in this peaceful little convent. On November 12 the pain and inflammation in her legs obliged her to remain in bed and her body weakened. She attended to those who visited her and to the messages that they brought. Most especially her attention was given to the God of her life in whose silent presence she became absorbed. She died peacefully three days later on November 15. 1905 - Jeanne de Geslin (Mother Mary of the Redemption), elected the new General Superior. She had joined the FMM in 1885 so did not carry within her any residue of the separation. Her vision and style reflected only her first hand experience of working intimately with Hélène and carrying forward the aim and spirit of the young Institute. The responsibilities of the General Council passed from the founding women into the hands of those who had only FMM formation and experience of mission. 1905 - Death of Sr Assunta Pallotta in Shansi, China. In the midst of a raging cholera epidemic the mission compound was filled with a delicate perfume and the Chinese peasants came to the convent to claim her as their saint. Her life was unremarkable except to those who experienced the beauty of someone who in humility and simplicity, hard work and generosity had given herself entirely into the hands of an all loving God. The bishop of Shansi had her body exhumed in 1913 and it was found to be in perfect condition. Her cause was introduced by Piux X and she was beatified in 1954. Her shrine in Shansi has become a place of pilgrimage and prayer. 1914 - 1918 - First World War devastated Europe. FMM joined field ambulances and opened their houses to refugees. Plans for further expansion were suspended. 1920 - 1939 - New foundations are resumed and the number of provinces were increased. The Institute was still young and vital with over 6000 members. 1939 - 1945 - Second World War. International communities dealt with the tensions of sheltering refugees, deportees, and those fleeing imprisonment and genocide. They lived free of national enmity, and exemplified peace and reconciliation. Fifteen sisters died in a bomb explosion in Austria. 1947 - FMM Convent and hospital in Baramulla, Kashmir was attacked by mercenaries and Maria Teresalina, a young Spanish sister, was fatally wounded when she jumped in front of another sister to take the bullet that was aimed at her. 1948 - Chinese Cultural revolution: Interrogations, public courts, imprisonments and deaths. Four hundred FMM expelled from China. Three hundred and fifty Chinese FMM dispersed and placed under Government surveillance which resulted in total isolation from the rest of the Institute. Expelled FMM found new missions in home countries and in younger provinces. The trauma was felt throughout the whole Institute. 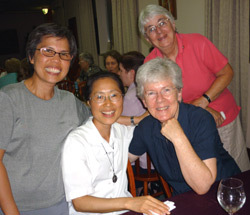 Mother Marie Chrysanthe, provincial of Christ the King province in China, was interrogated and imprisoned for four months. Upon her release she regathered many of the expelled sisters and gradually brought them to the newly made province of Australia, Indonesia, Malaysia and Singapore. 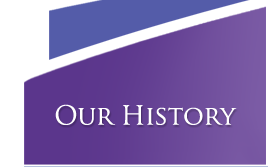 1950 – 1966 - Peak period in the expansion of the Institute: 11,000 members, 70 countries, 30 provinces, 428 communities. Nationalisation and conflicts in Asian countries changed the face of mission. Institutions were replaced by small insertions in urban and rural areas. 1970 - Beginning of the decline in membership but an increase in the number of houses and provinces as social, political and ecclesial changes impacted on religious life. 1980 - Fifth province erected in India and number of Indian sisters becomes the highest national profile in the Institute. Provinces of India: Mumbai, Bangalore, Ootacamund, Delhi, and Chennai. 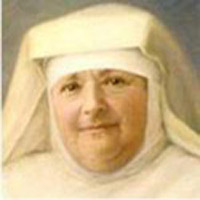 2002 - Beatification of Hélène de Chappotin. Under the title Blessed Mary of the Passion she is honoured in the liturgy of the church on November 15, anniversary of her death. Beyond 2010 - The succeeding ten to fifteen years will show an ongoing decline in membership due to age and global trends. A possible 80% of our new members will come from Asia and Africa. Our youth and vitality will be in their hands.